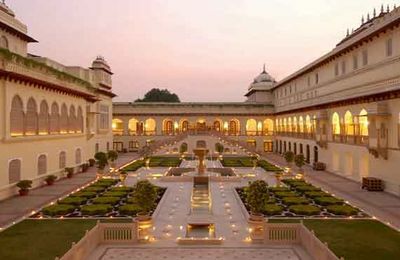 Jai mahal was my dream wedding venue come to life! 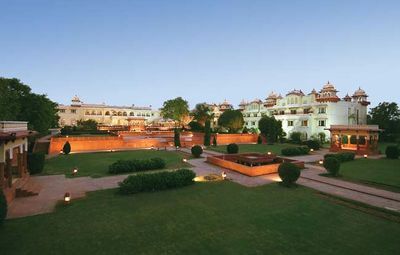 This heritage palace is absolutely stunning and perfect for an intimate destination wedding. All of our guests, especially international ones couldn’t too raving about the hospitality, food and just about everything during their stay there. Chef Sanjay pulled together the most amazing menu for all of our 5 events, each offering a unique taste experience. 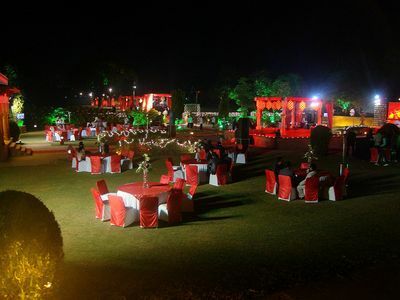 One watch out is that Jai mahal was tough to deal with during the wedding planning, lots of follow ups required to get an answer and they don’t seem focused on hosting weddings as often times it was like pulling teeth to get info (linens, banquet tables etc available for example). 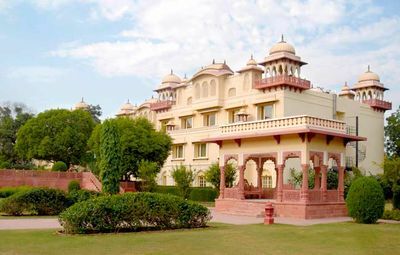 Since we didn’t have anyone in Jaipur to meet their team in person, both my family and the wedding planners had a tough time getting answers quickly from them and required many follow up email and phone calls. Though the coordination with them was painful during the planning, they pulled through when it came time for the actual wedding days. If you are looking for a true place experience, this is the place for you!